OnStar was having a difficult time communicating its service offerings to its customer base. 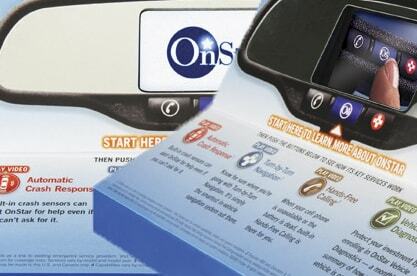 Many consumers believed that the OnStar product was a feature of their General Motors vehicle and did not know that it was a service that needed to be subscribed to. Consumers were also not aware of the full range of offerings from the OnStar technology including Automatic Crash Response, Turn-by-Turn Navigation, Hands-Free Calling and Vehicle Diagnostics. OnStar and its agency, Campbell-Ewald, realized they could better utilize the time consumers spent in dealerships waiting for their car. 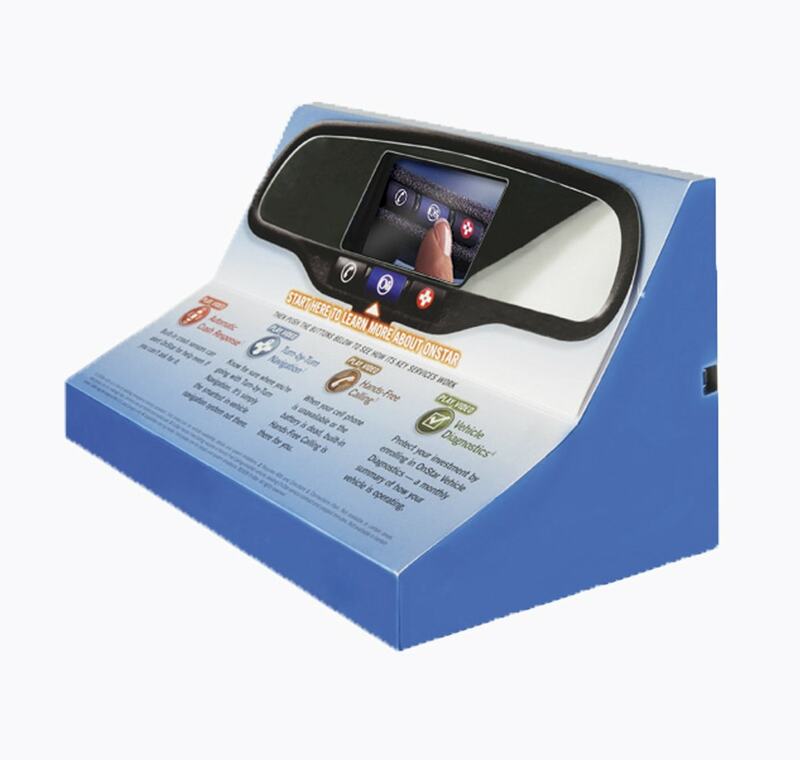 OnStar and Campbell-Ewald worked with Americhip to incorporate our patented VIP™ technology into a clever countertop display that looked and functioned like the actual OnStar product. 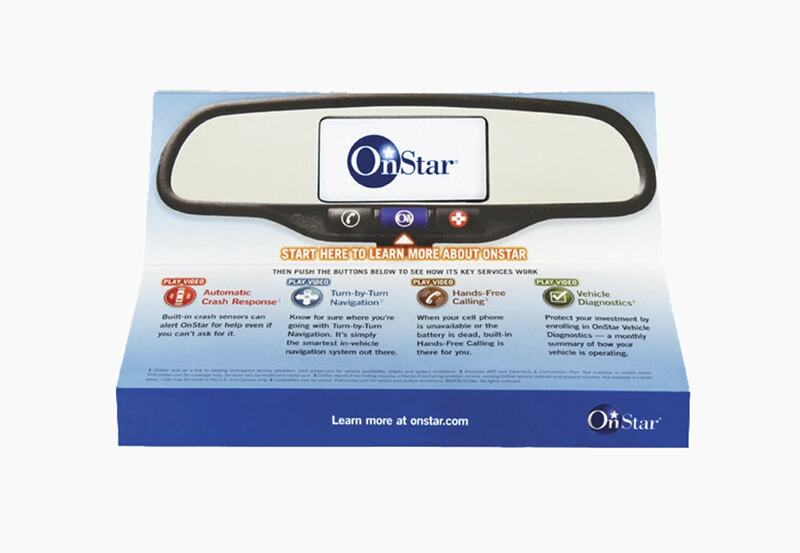 The unit featured a 4.1” VIP™ screen embedded in a rearview mirror (complete with reflective material) and four chapter buttons of video content to engage consumers on the unique features of OnStar.